Hey guys! I was digging around in my files to see what I should post today and I realized that I had stowed away a video that I forgot to edit, back from a couple months ago. It was a video of when I received a little love package from Lisa at He Qi Crystal Designs! Seeing as how I just posted my last blog post on her beautiful necklace, I thought it would be appropriate to post this as well. As for my makeup in the vid, I skipped the eyeshadow and just did thicker black liner and a bit of metallic silver L'Oreal HIP Chrome pencil on the inner corners of my eyes. It really makes the eyes sparkle and pop compared to my usual shadow or white shimmery pencil! I asked Lisa and she said she'll be making more similar in her store soon! Yay! Anyway, I have a whole lot planned for this weekend including a nail art tutorial! I know it's been too long since my last one but I've been soooo overworked lately that I just haven't had the time. :/ If you are the praying sort, please pray for me since I do of course want to have good-quality posts and videos and have the energy to work overtime and still do as much as I can for my followers. As an aside, I just want to say something. I know I should ignore the hater comments but I want you guys to know that I'm not all just about reviews, seriously. Half of the stuff I review is just because I want to share great things with you guys, and they aren't sponsored in any way. It's weird because I did reviews and all that before I was ever given products to review but you know, youtube is cray cray and a lot of those people don't actually ever visit my blog or get to know me as a person. Contrary to what some may think, I actually turn down a lot of offers and my blog isn't littered with advertisements on purpose because I'm NOT in it for ulterior motives and don't accept everything that comes my way for a quick buck. You look gorgeous :) Those feather earrings are super pretty - I'm really into feathers too. Youtube haters are sad, sad people :( I wish they would spread some more love instead of take out all their angst on well-meaning pretty girls. I think any pair of earrings would look good on you! The feather earrings are so cute :3 & your eyes really do POP! Those feather earrings look so good on you..
And i really love your blog, just ignore the haters, they are really sad people.. I hope your making sure to have time for yourself and relax! Haters are the worst =( But there are so many people here on your blog who love the you that you are! The feather earrings are my favorite. And as for YouTube haters, you already know how I feel about em. Your true readers/followers know how genuine of a person you are. Keep your chin up! I don't understand people who find it necessary to take time to leave a mean comment. It's such a negative use of energy and I really hope you ignore them. If I don't share the same opinion as you, I would never think to personally attack you! It saddens me when people leap to internet cruelty because it's the coward's way of bullying. I enjoy your blog thoroughly. Sending positive thoughts your way. 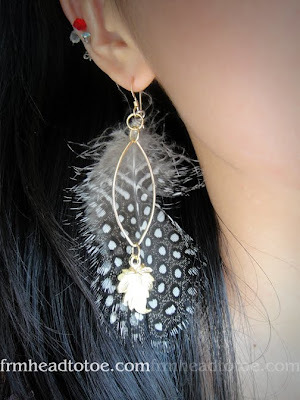 I love those feather earrings!!! I enjoy collecting accessories too!! You know I've been a follower of your blog for quite sometime and I can see your genuine heart to share what your knowledge about beauty.. Forget about those haters. I hope that someday they'll realize that it's better to spread the love because it's the most refreshing feeling ever. =) I'm a loyal fan Jen! I hope you write more and make more vid. Don't let the nasty comments get you down, there are always bound to be a few haters when you reach this level of popularity on the internet. :) And the silver liner really makes your eyes pop; I didn't even know L'oreal had HIP pencils! Anyway, the feathered earrings are lovely on you!! I really like the feather earrings! The purple top you have on is really pretty too... where's that from? oh im going to try out that look soon! its simple but it does the trick! those earrings are gorgeous too, but i wouldn't be able to pull them off i think. You are the best, just do what you feel like doing.. Ignore those haters...they are just jealous of you.. Dont let them drown you.. We all going to fight together with you.. 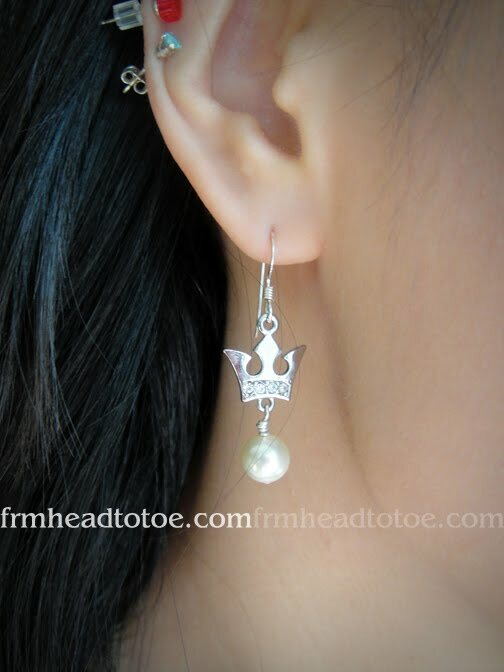 Seeing those super cute earrings really makes me wish I had the guts to get my ears pierced. Screw those people who don't like what you're doing. I bet the only time they feel all big and bad is when they are sitting in front of their keyboard writing spiteful comments about others. Talk about low self-esteem in it's finest! Hi Jenn! I love your reviews... And you are beautiful both inside and out so ignore those haters cuz they're just jealous! Just stumbled upon your blog yesterday while looking for a flat-iron-hair tutorial. Your videos are super helpful and you're doing an excellent job with the blog! Jen, you cannot please everyone. Look at them as an ultimate motivator in your life, to improvise yourself. They may be really discouraging now, but few years down the road, you may be looking back and thank them! Personal case: my previous manageress whom everyone think she's wicked and i had a hard time working with her. Yes i cried and all but lasted for three years. She pushed me to my limit and now i secured myself in a better job with an appreciative boss. I've really come to depend on your reviews and honesty, and I can tell you're genuine in your videos. Keep up the amazing hard work you do though Youtube and this site - I can tell you put a lot of effort, time and thought into it! And I really appreciate. I have been reading your blog for 3 months now and you are literally the first blogger who introduced me to this wonderful world of blogging. I want to tell you that you are good at what you do. We can't make every single person understand us but as long as you know what you are doing and you have people who genuinely love and support you, that's all it matters. It is inevitable when you put yourself in a public, people can say whatever they want, but don't let those words bring you down. Cheer up! Your readers/viewers got your back! What kind of contacts are you wearing in this video? sooo pretty! Wow!! I love your all the earrings but the feather earrings are so cute and you also look gorgeous in that earring with the silver liner in your eyes. lovely!!!! love that purple top, too!!! !